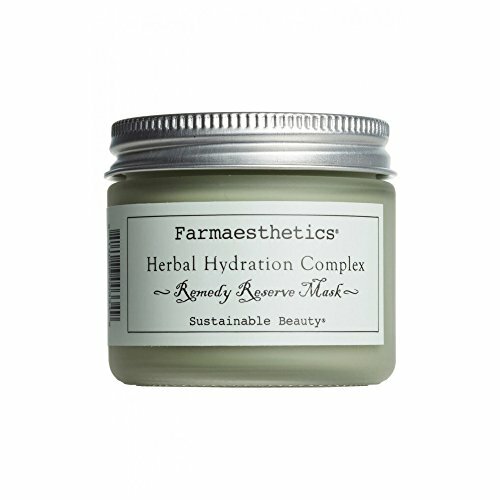 An Award Winner for "Best 5-Minute Complexion Makeover", our Herbal Hydration Complex is an advanced, preventative, high level treatment mask (somewhere between a luscious mousse and a cooling gel) to restore, support and maintain proper moisture levels, while eliminating excess oil and boosting skin's defense mechanisms against environmental damage. Use when skin is inflamed, irritated or imbalanced, or simply to treat skin to a calming, beautifying natural reprieve while bathing tissue in healing herbal moisture. Proudly Made in the USA (Newport, Rhode Island). Founded in 1999, all Farmaesthetics skincare products are 100% natural, utilizing time-honored recipes for skin health, and certified organic herbs, flowers, oils and grains from American family farms. 100% Natural - Contains certified organic ingredients (as indicated). Hypo-allergenic, non-irritating & dermatological tested. Totally free of synthetics - it is safe for use on all age groups. No animal testing.